Oxalates can combine with calcium to form kidney stone. Eating foods that contain oxalates increases your body's oxalate levels, and extra amounts of vitamin C may change into oxalate, further boosting your levels. Following a special diet to reduce the amount of oxalate you eat may help reduce the possibility of developing kidney stones. When eating a low oxalate diet, you should have no more than 40 to 50 mg of oxalate daily, according to University of Pittsburgh Medical Center. Berries and fruits contain oxalate and eating these fruits increases the risk of developing kidney stones. 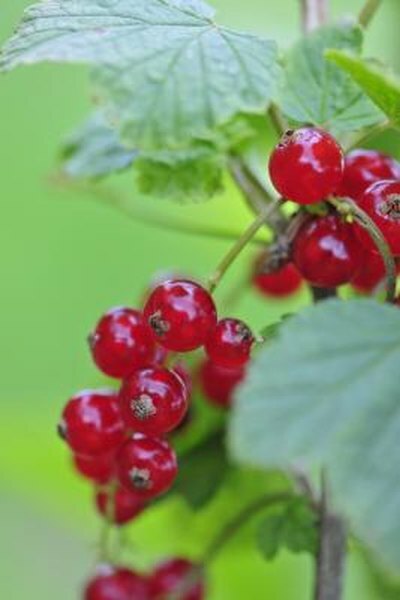 Examples of berries include strawberries, currants blackberries and raspberries. Additional fruits that contain oxalate include tangerines, kiwi and Concord grapes. Many vegetables are on the high oxalate list. Leafy green vegetables such as collards, dandelion greens, mustard greens and beet greens contain oxalate. Additional vegetables to avoid on the low oxalate diet include potatoes, sweet potatoes, green olives, yellow squash, green peppers, okra and beets. Beans, including baked beans, green beans, refried beans, lentils and kidney beans, have high oxalate levels in a single serving. Spinach and rhubarb contain oxalate and may also increase the amount of oxalate in your urine, according to the National Kidney and Urologic Diseases Information Clearinghouse. Soy products such as cheeses, milk and yogurts, as well as tofu and soy nuts, contain high levels of oxalate. You should also limit the consumption of nuts, peanuts, pistachio nuts, almonds, sesame seeds and nut butters when on a low oxalate diet. Grains that may cause kidney stones because of their oxalate levels include grits, pretzels, whole wheat bread, cereal, fruitcake, bran and wheat or rye crispbreads. Some beverages you need to avoid when trying to lower oxalate intake include coffee, tea and juices. Because fruits and berries contain oxalate, you should avoid juices from the same foods. The juices to limit include grapefruit, grape and cranberry. You should also not drink more than eight ounces of instant coffee each day, according to the National Kidney Foundation. Beverages containing cocoa, such as hot chocolate and chocolate milk, are high in oxalate.